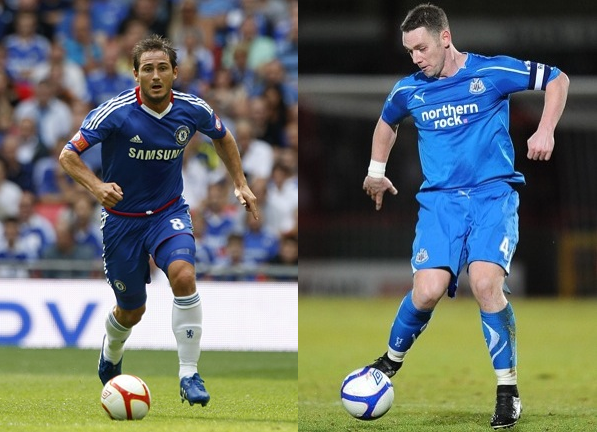 Kevin Nolan is the poor man's... Frank 'Lampsy' Lampard. Krasnic is a good shout, pic and all! Oh my God have you seen Sandra Redknapp’s neck? Jesus do they both live in Chernobyl or something? I find the Fabio/Rafael comparison a bit harsh. Fabio’s got Evra ahead of him, hence he’s not played as much. It’s more of a joke than a jibe at his abilities really. It’s also unlucky that Fabio doesn’t play because I have read quotes from numerous people (Including rafael) that Fabio is the technically better one, and he’s right footed. How have you missed out Charlie Adam/Xavi?! DeSilva twins is the only one I disagree, you also forgot Teo Walcot is a poor mans Aaron Lenin. And Chris Smalling is a poor mans Rio Ferdinand. Roger – hahahahaha are you serious? Walcott has 10 goals from 12 starts this season, what has Lennon done!? Roger: drugs are bad, mmkay? roger – are you out of your freaking mind. i’m actually struggling to put this in words. walcott is far better than lennon. and he’s younger. ……as good as he is (and he is good), Raphael Van der Vaart is certainly the poor mans Wesley Sneijder :) lol, Bradford……when Nolan bags 20+ goals a season for the next 5 years maybe then can you give that comparison….ha!! nani no poor man to cr.. ‘alike’ more prefer.. Some awful comparisions you’ve made there. Try compare similar players next time or at least players who play in the same position. Fidel Castro is a poor man’s Gerd Müller. Ahahahaha@Connor. Quality…..RE: Bebe was a poor man. Deep,lol. Lol Torres is the poor Mans torres. Ty for the shoutout though. kuyt is a poor man’s shearer? no? ROONEY of now is a poor man’s ROONEY of long ago. lampard is a poor mans raul meireles! Pep Guardiola is a poor man’s Woy.